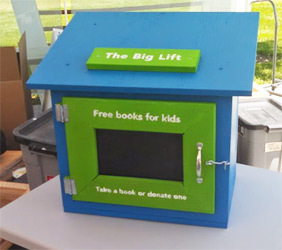 Green Street Books is very proud to sponsor the “Big Lift” little libraries both on the peninsula and coast side. Our ongoing contributions average between 600 to 1000 children’s books encouraging literacy in our most challenged communities. 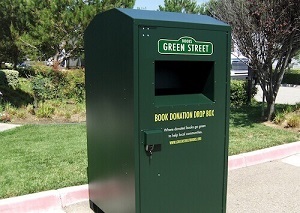 We have many drop off locations, you can type in your zip code or address to find a drop-off location nearest you. Green Street Books proudly solely provides employment, continued education, and ongoing training for employees with special needs and workers with disabilities. We do not receive Federal, State, or city funding, our business model is 100% dependent on you, our customer. We thank you and appreciate your support!